This ceremonial dance has always been surrounded by mystery since its real origin is unknown. The place, culture, and dates of its creations are still debatable. 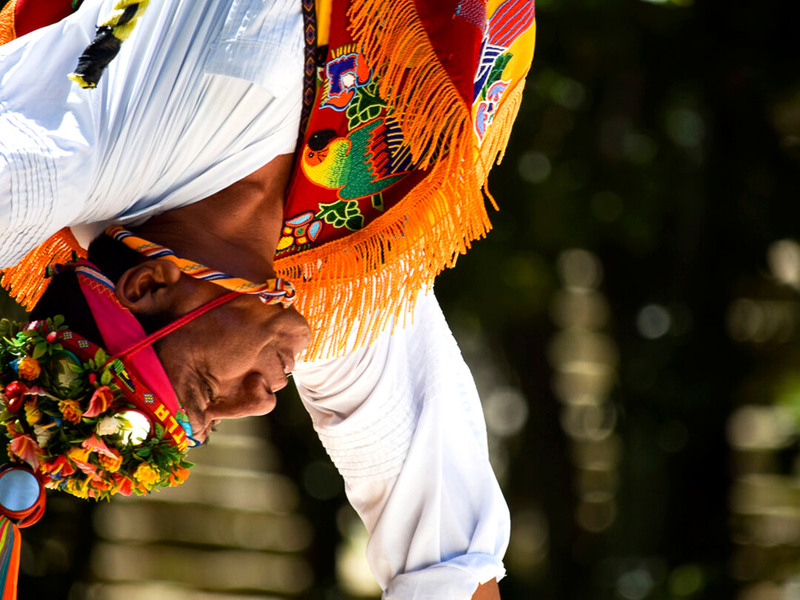 However, every movement of the dance, every detail of the costume of the Papantla flyers has a meaning. 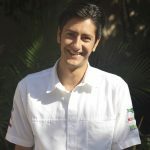 Which increases its value as part of the traditions of Mexico. It is believed that its origin occurred in the region between Veracruz and Puebla states, a Totonaca culture zone. Papantla is the town where the ritual got popularized many years ago. 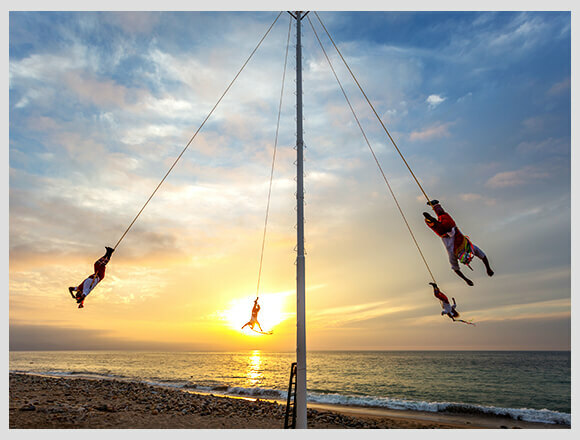 There is evidence that flying men rituals where practiced in many other parts of Mexico such as Jalisco and Nayarit. 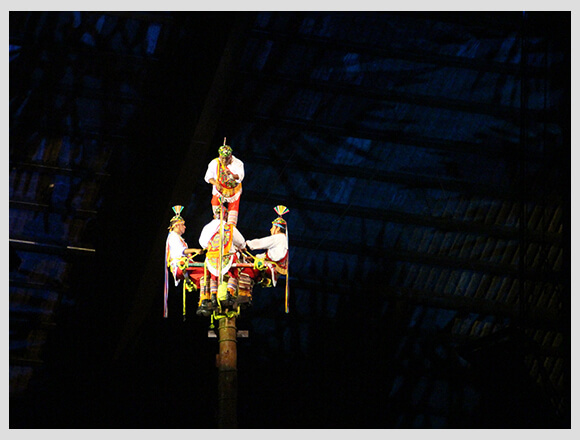 Papantla Flyers is a prehispanic tradition used to invoke water during extended dry seasons. In which the brave men falling symbolized the fall of raindrops from the sky in the seek of earth’s fertility. Formerly the ritual began by choosing and cutting the tree from which they would take the flying post. Dances and prays where made to ask for the woods for forgiveness. The trunk should never touch the floor when it was cut. It is even known that it was forbidden for women to touch it since it would be a symbol of bad omen. An essential part of the ritual is the trunk. But Papantla Flyers also need a sort of steering wheel that will allow them to spin while descending. A stretcher is also placed and works as support for the Papantla Flyers. This ceremony requires 4 brave men to fly and a leader to lead the ritual and dances. They are also known as birdmen. As authentic birdmen, they must wear a peculiar hat with a crest in resemblance to the quetzal. Sometimes they add small mirrors representing the sunbeams. Voladores carries colored strips which means the rainbow after the rain arrives. They also have handmade flowers on the chest and belt, representing the fertility and the soil. On their waist, they have velvet circles as the wings of the birds. The red pants mean the blood of the birdmen ancestors. Keep being amazed by Mexico: 11 cultural experiences to live in Xcaret. Each Volador represents a cardinal point and the leader, the center of the earth. Each one must do 13 laps before touching the floor. If we multiply 13 by 4 (number of flying men), the result is 52. The number of years of each solar cycle according to the ancient cultures. The leader has a risky and challenging task. He must play traditional music with a flute and a small drum while dancing at the top of the trunk. UNESCO added it to the list of Intangible Cultural Heritage of Humanity in 2009. 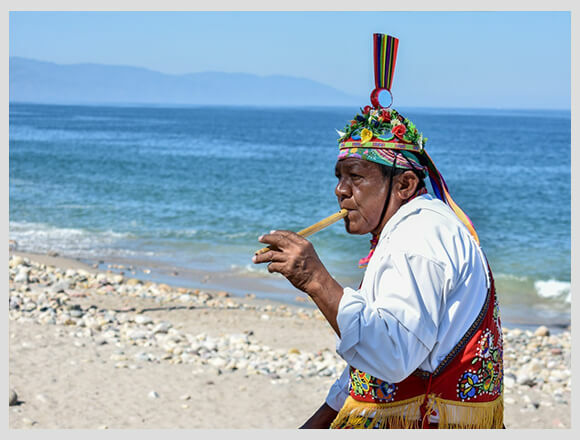 This ritual combines the bravery with the mysticism and traditions of the ancient cultures of Mexico. If you want to know more about the performances and cultural activities about Mexico at Xcaret click here. You can’t miss the chance to see them on your next visit!